is that the presentation of sadness in art, the drama, poetry, could please people, and this meant that grief was closer to happiness than people surmised. There are quite a few people listening with satisfaction to music that is sad, and also, tragedy has been enjoyed. The meaning of this is the most hopeful thing in the world. Aesthetic Realism shows that art has the resolution to the questions of our lives, because in it, the opposites which can confuse us are made one. “Poetry,” Mr. Siegel said, “is a great gathering of illustrations that grief with form can please, and music is, too.” Explaining that the musical form expressing mourning—the requiem—was never more popular, he spoke of Verdi, Mozart, and Berlioz as composers whose requiems are loved, and also of how something like a requiem can be part of a longer musical composition, as in works of Bach and Chopin. Ye mountains of Gilboa, let there be no dew, neither lelt there be rain, upon you, nor fields of offerings: . . .
Saul and Jonathan were lovely and pleasant in their lives, and in their death they were not divided: they were swifter than eagles, they were stronger than lions. . . . Die sheinheit oi Isroyel, iz oif deine hoiche erter der schluhgen gevohren: oi, vi zenen die giboirim gefallen! I was thrilled by this and wanted to understand it better. In the discussion following the lecture, Chairman of Education Ellen Reiss asked me if I thought grief and anger are different. She explained that anger is thrusting, while grief seems to sink. “For grief and anger to be reconciled,” she asked, “would there be a certain oneness of thrust and retreat, force and sinking?” “Yes,” I said. Thinking about this has me understand better what I felt when each of my parents died. I am boundlessly grateful to Aesthetic Realism for teaching me, at those important times and now, how to see the opposites in my mother and father, in myself, and in the world in a way that makes me proud—and a large way is through the study of poetry. Aesthetic Realism teaches that the oneness of opposites we are looking for is in every beautiful poetic line; seeing it makes for deep composure and hope. I am already on the way. . .
To the noise of the mourning of a mighty nation. 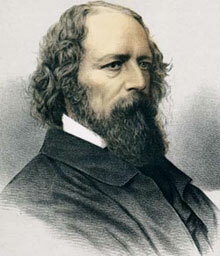 . .
I’m not sure how much Tennyson really cared for the Duke. He’s doing a very good job—but it is a job. The Queen expected something. This is not reprehensible, [but] it is an example of some of the difficulties of official mourning, and requiem by request. The claim he makes for Keats’ immortality could have been laughed at . . . but [he] was right. Keats is immortal. [This] summer, there will be talk of [him] in all the central universities of these states. 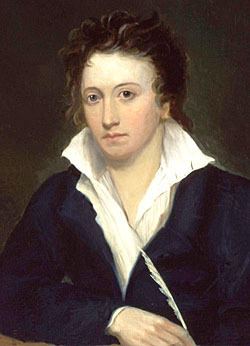 Shelley took a long chance, but he was right. is to associate music with sadness in such a way that the world looks somewhat better—this is the meaning of tragedy as beauty. . . .It goes on, because the requiem was never more popular. . . .There is a reason for it, because people are still trying to be faithful to the world which, as world, loves and retains its mystery. Hearing this lecture was a high point in my life. Mr. Siegel showed, with utter, beautiful conviction, that the world can be liked with all the facts present. This is the greatest cause for joy and hope there is, and every person in the world should know it, now!